The translucent cascade of the sun-god once again sparkles in your glass. Apollo is touching down on draft across the Sixpoint market. Weizens are essential as the months grow warmer. Between the striking appearance, distinctive flavors and sheer refreshment… a crystalline wheat beer in hand completes the beer garden experience. It’s the final complement to a perfect afternoon. “Gemütlichkeit” doesn’t have a direct English translation, but it roughly means a relaxed environment with good food and drink. Fabian describes it as, “sitting in a beer garden with good friends or coworkers after a long working day and having the one or another cool, fresh Weizen.” That’s a big part of the inspiration for Apollo… long afternoons in the fading sun, tall, foam-capped glasses of delicious, refreshing beer, and great company to share it with. And even in a dark bar, on a rainy day, the beer brings you there. Like nectar and ambrosia poured from on high, Apollo is an all-quenching gift of the sun-god. 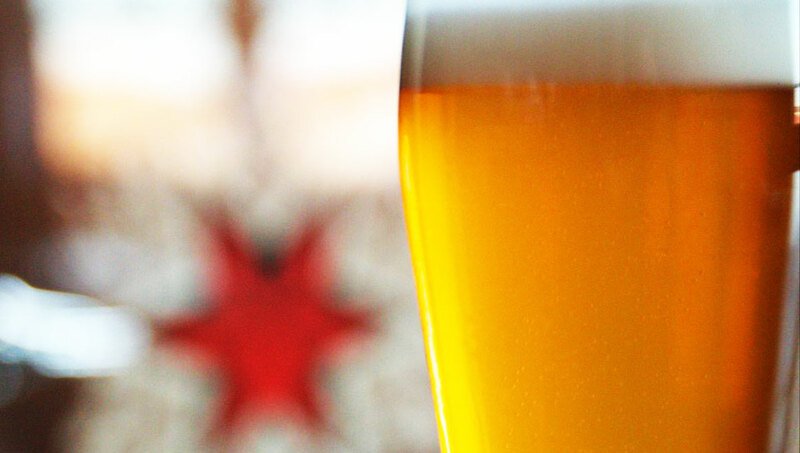 Find it on draft across the Sixpoint network. But what about cans, you ask? Stay tuned for the update on a brand new release… the ultimate summer crusher, a canned beauty that will kick-off a new cycle of Sixpoint creativity. It’s going to be totally radical.